The Diocese of Lancaster Education Service, through the Board of Education and Formation, is committed to education and personal formation in the Faith as a lifelong process. In partnership with parishes, individuals and schools, the Service aims to encourage understanding, community growth and spiritual development. 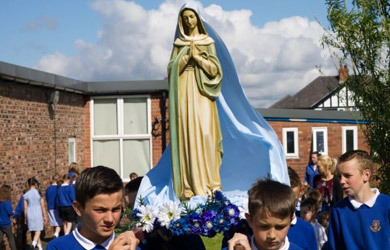 The Board of Education and Formation is a Commission of the Diocese of Lancaster and works on behalf of and is responsible to the Bishop and Trustees of the Diocese. As a diocesan Commission its work must be integral to and consistent with the educational mission of the Diocese, approved by the Bishop and Trustees. • develop and structure appropriate learning opportunities both locally and at The Education Centre, Lancaster. • facilitates the work of the Diocesan Schools Building Committee.